What Are The Tax Benefits of Buying a New Home in Hawaii? Tax season might be over this year, but it’s never too early to start thinking about how events in your life now may affect your tax benefits for next year. Purchasing a home is arguably one of the biggest financial decisions in one’s life. It’s also one that is known to potentially come along with multiple tax breaks. We’re breaking down a few of these potential benefits, along with changes under the recent tax reform, that you should familiarize yourself with before buying a new condo in Maui or putting your Kailua home for sale. 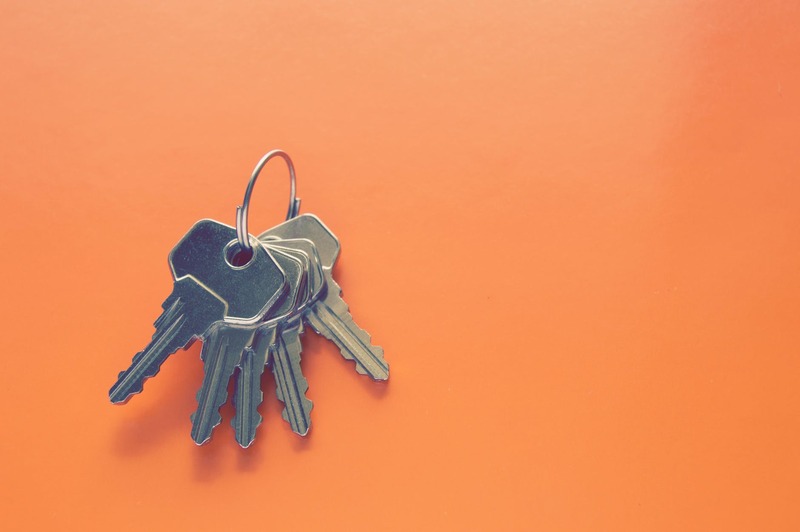 Aside from the obvious gains of mere pride and joy that come with owning your own property, home ownership can offer multiple financial benefits, such as home tax deductions, tax credits and other breaks that shouldn’t be overlooked. If you plan to purchase a new home in Hawaii this year, it would be wise to familiarize yourself with current tax laws, as they have undergone changes in the past few years, which may affect how that house purchase benefits you. As a recap, the federal Tax Cuts and Jobs Act (TCJA) underwent a significant tax reform, which Congress enacted in December 2017 and is currently scheduled to go through December 2025. Below we have broken down a few of the tax benefits that you may receive if becoming a first-time homeowner this year, as well as changes implemented by the new TCJA that you should be aware of if buying or selling a home for the first time since January 2018. One of the biggest benefits of owning a home is the fact that mortgage interest expenses are deductible. Under the TCJA, homeowners can deduct the interest you pay on a loan on up to $750,000 from your income taxes. Although this limit used to be $1 million (the TCJA reduced the limit and made modifications on how a home equity line of credit could be used), this benefit should not be overlooked. This deduction could still provide you with massive returns come tax season next year. Homeowners with new loans could especially benefit from this, as interest charges on mortgages are normally higher in the beginning of the mortgage’s term. Homeowners should keep in mind that this tax deduction limit only applies to those who itemize their personal deductions. For those that choose not to itemize deductions, the standard deduction for individuals or married couples filing individually is $12,000, if you’re the head of household it’s $18,000, and for those married filing jointly it’s $24,000. It is worth speaking with a financial advisor to determine which method of filing is ultimately most beneficial for you. One benefit that is going unchanged even with the TCJA is the capital gains you receive tax-free after the sale of your home. Homes appreciate in value during the life of your ownership, so when it is time to part ways with that condo in Honolulu you’ve lived in for years to move to a home in Kailua, you can relish in the profits of your sold home without worrying about being taxed. Under the TCJA married homeowners can retain up to $500,000 in home appreciation profits from the sale of their home, or $250,000 for single filers. There is a catch, though. You have to have used your home as your primary residence for at least two years out of the five years before the sale date to qualify for this exclusion. Another tax benefit from being a homeowner is the ability to be able to deduct portions of your property taxes. Although prior to the TCJA you could deduct the entirety of your property taxes, all is not lost, as you are still able to deduct up to $10,000 ($5,000 if married filing separately) under the new law. Under the TCJA, the deduction was changed from solely property taxes to a combination of property taxes and either state and local income taxes or sales taxes under the $10,000 limit. 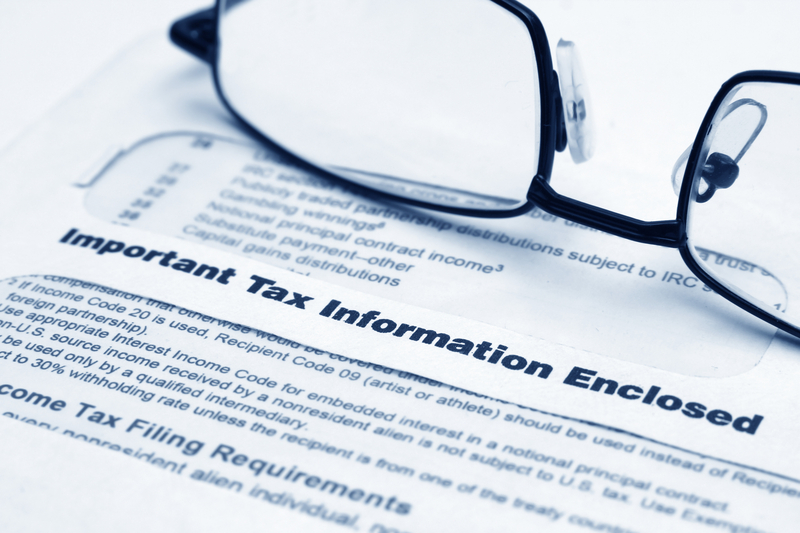 While being a homeowner in 2019 offers a variety of tax benefits, with the overhaul of tax laws in the past few years, it is wise to evaluate your choices to determine what is best for you and your family. It is worth noting, as well, that many of these recent changes may end in 2025, so it’s always good to be knowledgeable about how tax changes could affect your returns. Whether looking for a new Honolulu condo or thinking of putting your Kailua home for sale, we would love to help you with whatever Oahu real estate needs you may have. Please do not hesitate to give us a call here at Hawaii Realty International! A peaceful mind, body, and spirit is part of the aloha lifestyle. People who live in Oahu embrace a slower-paced, low-stress way of life that attracts many outsiders and keeps its locals from ever wanting to leave. 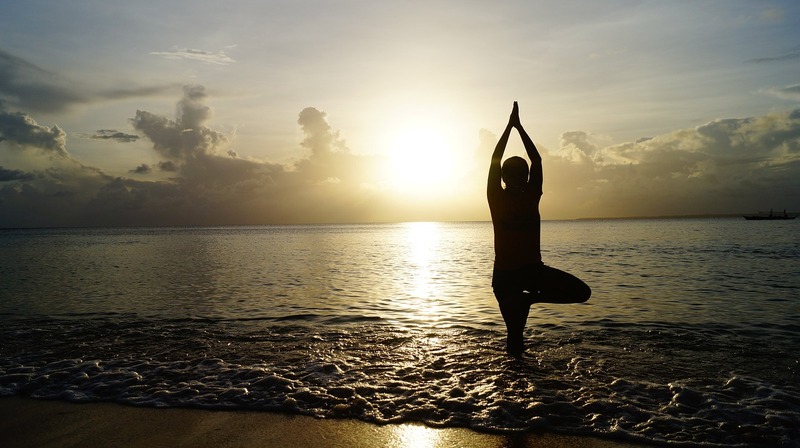 Among enjoying the beautiful weather and beaches, practicing yoga is another major part of maintaining this tranquil lifestyle for many locals. Yoga allows participants of all ages and fitness levels to attain the benefits of meditation and breathing, increased flexibility, strength training, and much more. 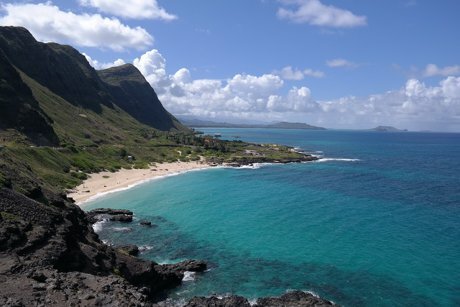 Kailua, meaning “two seas” in the Hawaiian language, is located in Windward Oahu about 12 miles northeast of Honolulu. It is an extraordinarily beautiful place that has been said to be the best beach town in the US by many. What’s more, is that the locals strive to maintain a unique sense about their community, boasting many creatively diverse, well-respected small businesses and organizations. One such business is Hawaii Health and Wellness. Read on to hear more about their interesting journey to how they became a Kailua community staple as I sit down with one of the owners, Martin. Michael: Tell me a little about how Hawaii Health and Wellness was started. Martin: It’s actually a pretty interesting story. We started as Aloha Yoga Kula about 10 years ago and have been in this same space since the beginning. Last year, we figured we could do a lot more for the community so we decided to open up a non-profit. So we are now officially operating as a non-profit organization, which is called Hawaii Health and Wellness, Inc.
Michael: What kinds of things do you provide to the community? Martin: We, of course, provide a variety of yoga classes to the public, however, we are also trying to reach out more in the community to see how we can help. One such way is by incorporating some inclusion with senior day care centers — just helping people in general to lead more healthy lifestyles. Michael: What kinds of yoga classes do you offer? Martin: We offer classes for all age groups and levels of expertise. Anything from vinyasa yoga for the elite athlete who wants a more fast-paced class, all the way to chair yoga, which is great for the senior citizen community or those who are recovering from an injury. Michael: Great — thank you for taking the time to talk with me today. We love what you do here in the community. Please let us know how we can find you or reach out. Martin: Of course. You can either go to our website at www.kailuayoga.com or even call me at 808-722-3520. Locals and visitors alike love coming to Hawaii Health and Wellness for yoga classes but continue to come back because of how their sense of community and desire to give back aligns so well with the Oahu culture. Whether having just moved to the Oahu area and are looking for a new home, or a local looking to upgrade to that perfect move-in ready home you’ve always dreamed of, if you find yourself in the market, please do not hesitate to contact us here at Hawaii Realty International. We would love to help place you in your dream home. Whether you’re about to enter into a search for a new home, or just want to make informed decisions about the value of the home you currently live in, you may be wondering what’s my home worth? Fortunately, there are many great home value estimator tools available to help you to determine the approximated worth of your property. Our website boasts our own home value estimator, which is a great starting point in determining your home's price. It doesn’t hurt to get a second or third opinion, however, by working with an industry professional who knows the market. Although each of the options provided below uses different methods to determine their estimates, when viewed in aggregate you can get a strong estimate of a home value in Oahu or Maui. There are also different types of home value estimators to consider, each with their own pros and cons. 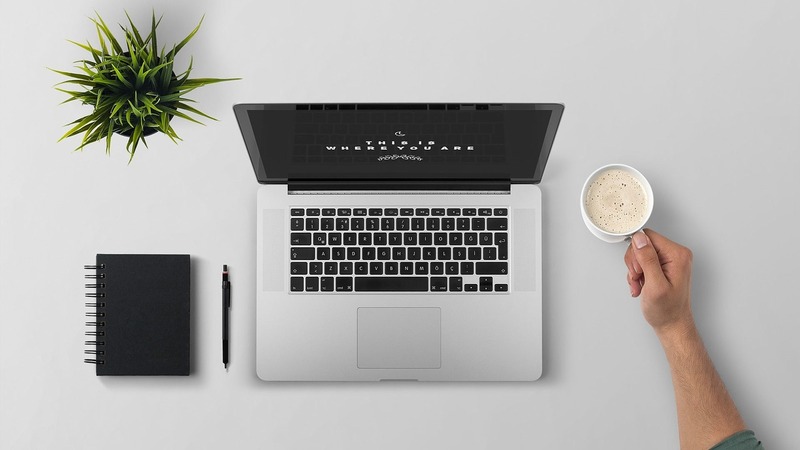 Many online estimates have the benefit of being available to you free of charge so that you can access many different reports and estimates for the property in question. In-person assessments, on the other hand, carry the cost of paying a professional to carry them out, but they can also provide more accurate and actionable information due to the more thorough nature. To find a home value in Hawaii, a combination of both online and in-person estimates is often your best bet, narrowing your options with online tools before relying on a pro before the sale. One of the two major online home value estimate tools, Zillow is considered the more seller friendly option, as it tends to have higher estimated values for the homes listed on it. Zillow uses a secret algorithm which helps to create a “Zestimate” on the value of the home. While it is not officially known what factors are used in the estimate, it is commonly accepted that a large portion of estimates comes based on prior sales data and information on other sales around the home with similar amenities. As with Zillow, Redfin uses its own proprietary algorithm in order to determine an estimated home value. Orange County has many great homes listed on Redfin, and the numbers provided by the Redfin estimate are often more friendly to those who are searching for a home, with values on average being lower than those of the “Zestimate” guesses. Redfin also makes use of a “Hot Home” feature which gives increased prominence to listings which are seeing a great deal of traffic. Although page clicks may not directly translate to value, they are a good indicator of interest and likely competition. Although you should never count on just one online estimate for a home valuation in Oahu or Maui, by checking out multiple different sites you can get a good idea of the value of the home. The easiest way to do so is add up the values from the different sites then divide by the number of sites to find an average value. By combining multiple sites together you improve the likelihood of getting an accurate result, as you are less likely to be thrown off by an algorithm on one site missing something. If you find a result from one of the online listings which is vastly different, you may want to consider removing it before averaging in order to get a more accurate home value in Hawaii. While online estimates are fine for sating your curiosity, when ownership is trading hands, they’re not enough. Whether you’re buying or selling, house worth must be assessed by a professional in order to get a true home value. Oahu and Maui are popular real estate destinations, but you can’t make good decisions without good information. An appraisal is carried out by an unbiased professional who has no stake in a high or low value, so you can trust that the number they come back with is as accurate as possible. If you are applying for financing for your home, it is likely that an in-person appraisal will be required by your lending agent. When you receive a mortgage, the home serves as collateral for the loan, so it’s in the lender’s best interest to make sure that you are not borrowing more than it is worth or else the bank could be out of luck in the event of default. Your appraiser will perform a visual inspection of the entire home, inside and outside, as well as note the home’s amenities. By combining this information with data on similar sales which have occurred, they come up with the most accurate possible estimated home value an Hawaii home buyer could ask for. Despite the importance of a professionally determined value, it's always nice to get a sense of things on your own as you consider your options. If you’re in the market to buy or sell your home, please do not hesitate to contact us here at Hawaii Realty International — we’d love to help in any way we can! Making the jump from renting to owning an Oahu home, like any other, is a big step. Many Americans are eager to take the leap into homeownership because it’s one of the factors that embodies the “American Dream”. Unfortunately, many people don’t go into this huge undertaking with the knowledge and information they need to fully understand what they’re getting themselves into. Because of this, new research shows that many new homeowners are suddenly having home buyer’s remorse. Read on to discover why certain people are feeling this way and what you can do to ensure you're happy with your Oahu home purchase. Home ownership should be an amazing and rewarding experience, a dream come true for most Americans. Buying a home puts your monthly payments to work as an investment, by building your own equity instead of your landlord’s. And, as a homeowner, you have total freedom to make the choices you want and live the life you envision for yourself and your family! Just keep in mind that a prepared homeowner is a happy homeowner. While we can’t rid you of property taxes, at Hawaii Realty International we promise to find you an Oahu home that's a perfect fit for your lifestyle and your budget! Let us know how we can help. Putting your home for sale in Oahu and want to stage your home to sell quickly? Or just looking to spruce up your Maui home a bit? There are lots of things you can do to a space to liven it up — buy new furniture, add some unique or colorful decor touches, update fixtures — but probably the one that creates the most dramatic change is adding a fresh coat of paint. 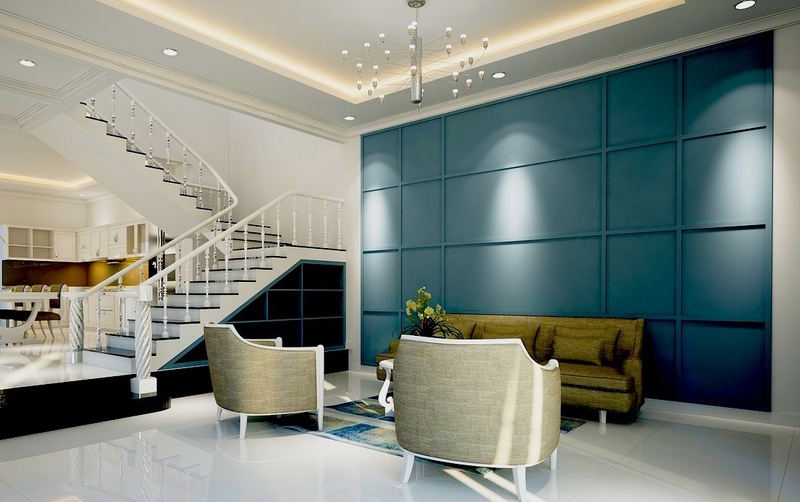 For far less than the cost of a major renovation, painting your walls a new color will make your home feel modern, current, and refreshingly new. 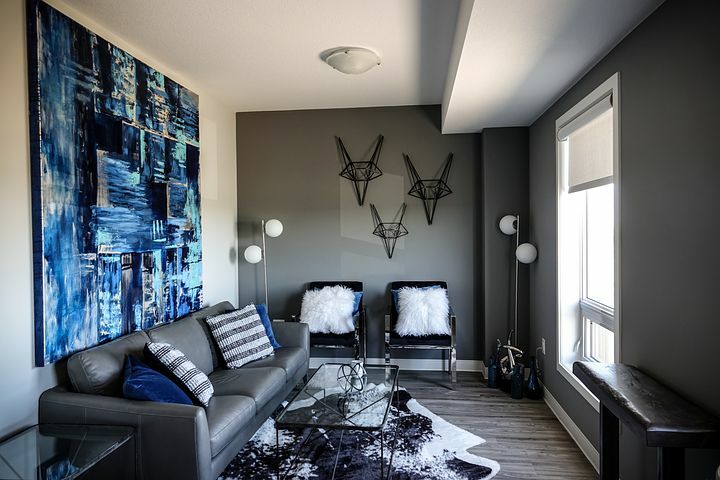 Whether you're just moving in, looking to refurbish your existing space, or trying to sell your Oahu home quickly, here are a few of the trendiest interior paint colors that are sure to transform any room in your house. Voted Benjamin Moore’s Color of the Year for 2019, their Metropolitan AF-690 is a neutral gray that is stylish yet comforting at the same time and seemingly pairs well with everything. Shades of gray are very in right now, due to their calming nature and their ability to add an air of class and sophistication to any space. According to Benjamin Moore’s Director of Strategic Design Intelligence, Ellen O'Neill, “Metropolitan AF-690 emanates nuance, harmony and extravagant ease. Always adaptable, it softens to matte or shimmers with sheen. It's neutral. It's understated. It just is. This is color, off-duty." This color would look great in any room of the house, from the kitchen to the bedroom. To give you even more reason to love it, this Metropolitan AF-690 was also featured on Consumer Report’s list of Hottest Interior Paint Colors of 2019. According to Consumer Report’s Paint Ratings, they recommend using either the Benjamin Moore Aura or the Benjamin Moore Regal Select, both slightly pricier options but are environmentally-friendly, and only one coat is needed to cover your walls. To add a calming, beachy vibe to your home, a color like Behr's Blue Tequila is the perfect shade of blue-green to compliment a room. A more modern take on seafoam, this paint can add the perfect touch of color as an accent wall in any living area or bedroom, or coat your entire kitchen in it to transform your cooking area. Pair with a classic eggshell white for a quintessential beach feel, or pair with shades of taupes, browns and even orange to give a more rustic feel. This is another color that is extremely versatile and is bound to look good in whatever capacity you use it! Often people shy away from darker colors, but Sherwin-Williams Peppercorn is a charcoal gray that packs a punch while retaining that neutral elegance. Darker walls make colors pop, especially if accompanied by lighter crown-molding or furniture to contrast with the bold walls. If you’re hesitant to turn your entire living room or bedroom this dark of hue, then start by playing around in the bathroom. A hall bathroom is a great place to try out bolder colors and decor choices since this isn’t a room you’re constantly using. Then, if you happen to love it, you can expand beyond to more areas of your house! For those looking to add a pop of color to their homes, Reflecting Pool by HGTV Home by Sherwin-Williams may be a perfect option. This beautiful shade of teal is bold enough to add spice to a dining room or living room, but also modern enough to give a sophisticated and elegant feel to the home. This was another color that made it onto Consumer Report’s list of Hottest Interior Paint Colors of 2019, which recommends using HGTV Home Infinity by Sherwin-Williams or the HGTV Home Showcase paint for this color, both ranking high in their Paint Ratings. Pair it with navy and a yellow hue if you’re aiming for more of a fun and playful look, or with greys and creams if you want just a pop of color. This hue would be a great option when updating a modern or mid-century modern style space. An unexpected color that you may not have thought of incorporating into your home is pink. 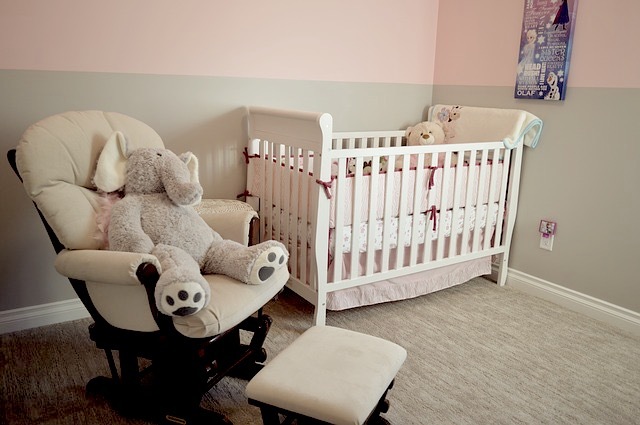 Most people associate shades of pink with youthful, “girly” rooms. However, the right shade of pastel pink or dusty rose can add a bit of charm to any shabby chic or traditional home. Ella Rose from Magnolia Home Paint by Joanna Gaines is a beautiful pale neutral pink with accents of peach. It has a softer, sweeter touch to it that will translate to your home. It’s the perfect shade if you want a graceful and timeless color with a fresh twist. Behr’s Blueprint is a deep hue of beautiful slate blue that would compliment a bedroom, living room or kitchen. Voted as Behr’s 2019 Color of the Year, this color would especially compliment a modern or mid-century modern aesthetic home. Shades of blue are always popular, as they are calming and usually very versatile. However, this shade adds a bit more dimension to a room and can make lighter-colored furniture or cabinets really pop. This was another color that made it onto Consumer Report’s list of Hottest Interior Paint Colors of 2019. They recommend using Behr Marquee, Behr Premium Plus Enamel, or Behr Premium Plus Ultra for this color, all ranking high in their Paint Ratings. If you want to recreate the rustic Fixer-Upper look that Joanna Gaines is so famous for creating, then Magnolia Green from Magnolia Home Paint is a perfect place to start. This gorgeous olive green color can be used as an accent or to fill an entire room. It’s extremely versatile and, although you might not initially think it at first glance, it can look amazing in any room of the house. Pair it with creams and grays to complete that enchanting farmhouse look. I hope these colors have given you some inspiration to get you started on that renovation or home facelift you’ve been dreaming about. Whatever decor choices you make, what really matters is that you make it feel like you. If you get to the point where your current Oahu house no longer feels like home and you’re yearning for a bigger change, I’d love to help you find that perfect Hawaii property that truly is the home of your dreams. 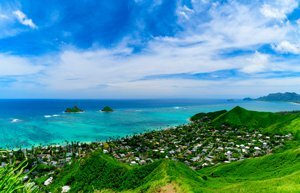 While you can’t really go wrong with any view around Oahu, there are certainly times and places that bring out the most picturesque views of the Pacific Ocean that will simply take your breath away. Whether a local or planning a trip to the area, these are some of the prime spots and hiking trails around Oahu that provide the most spectacular views of the ocean, beaches, and horizons that you’ve ever seen. You really can’t go wrong with any or all of the destinations on our list. The Pu’u U’alaka’a State Park is one of the most popular Oahu parks for tourists and locals alike. It allows locals to break away from the chaos of the city life and provides tourists with remarkable ocean views that they’ve probably never seen anything like. The U’alaka’a Loop Trail provides beautifully forested areas that make hiking the one mile loop a fun woodsy adventure. The lookout offers a panoramic view of southern Oahu from Diamond Head to Pearl Harbor, including Honolulu and Manoa Valley. There are also picnic tables and water fountains spread around the park for those that want to bring a snack or lunch with them and have a relaxing afternoon taking in the sun and wind of Hawaii. Located high above Kaneohe Bay on ten beautiful acres of trees, flowers, birds and solitude is Friendship Garden. If you’re a novice hiker or want to make a family day of it and bring the kids, then this is a great option for you. It'll be good exercise for those who aren't used to hiking, however for the avid hiker, it may be considered a little easier. Regardless of what experience with hiking you have, the amazing panoramic view of Kaneohe that you experience from the lookout point will impress everyone just the same. sit and take in all of Oahu’s beauty. The Lanikai Pillbox Hike, also popularly known as the Kaiwa Ridge Trail, offers hikers some of the best views of Oahu’s windward side. Ranked intermediate because of the steep grade of uphill climb at the beginning of the trail, this is a fun 60-90 minute hike that is great for the slightly more experienced hiker or a hike with the older kids in your family. You have the option to stop at the first or second pillbox, or even continue on further if you’re feeling adventurous. 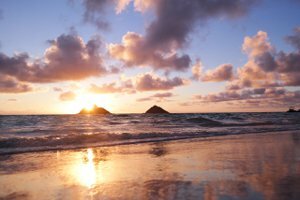 Whatever distance you go, you’ll be rewarded with gorgeous views of the Mokulua Islands, Kailua Beach, Lanikai Beach and its surrounding residential neighborhoods. If you’re looking for a bit more adventurous hike, then the Oneawa Hills trail might be for you. This moderate level hike is full of vegetation so it is recommended that you wear pants. The total trail length is a 7-mile loop, but there is also an option to do just a 3-mile loop if you want something shorter (from Friendship Garden Trail, head to The Kapaa Quarry lookout and back). There is quite of bit of incline and portions that require ropes, so this may not be the best option for a novice hiker. The views you get of the Quarry are amazing and only get better as you continue on. a small window in the rock face of the mountain that provides breathtaking views and a great photo op. Whether a native to the area or you’re first time visiting, any of these views will solidify your love for this island and make you want to live here forever. If you feel the urge to buy a piece of this gorgeous area, please don’t hesitate to contact us — we’d love to help you find your little piece of paradise! When searching for a home, a common question asked by realtors is “Do you prefer a move-in ready home or a fixer-upper?” Some buyers have set in their mind that they want to put the sweat equity into a home themselves to have the satisfaction of knowing they’re getting everything they want, while some don’t want to lift a finger. While there are definitely pros to buying a fixer-upper (lower cost, ability to tailor the home to your liking, etc. 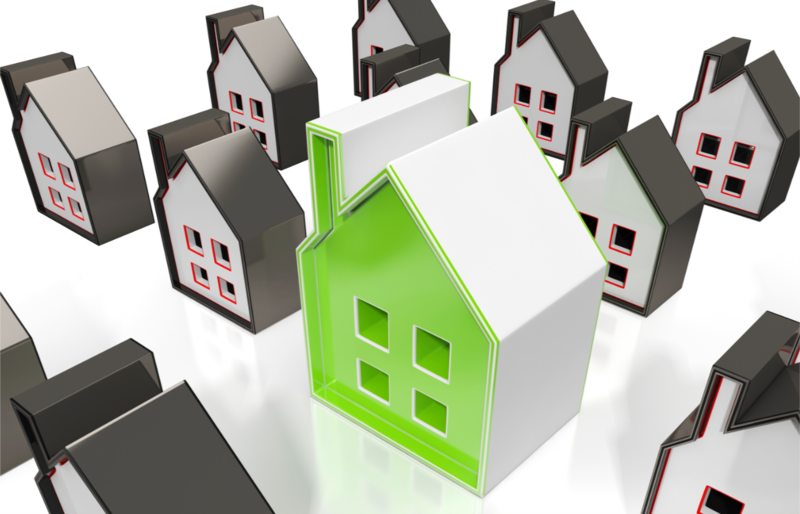 ), there has been an increase in demand for turnkey homes, and for good reason. Turnkey properties offer the convenience to move right in, which is a massive appeal to buyers these days. Many prefer to walk in the door and start living, rather than having to worry for months about the ongoing projects being done on their house. 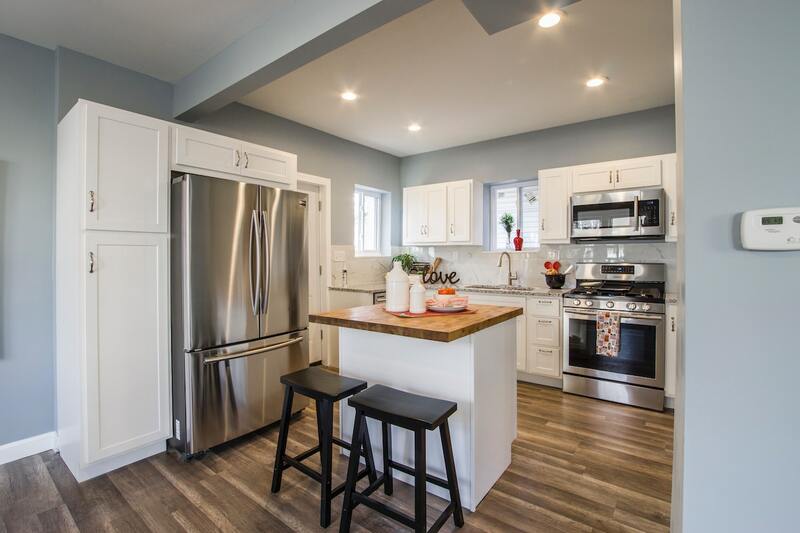 Turnkey homes also typically come upgraded with the newest design elements and technologies that buyers are after, such as open floor plans, big kitchens, smart technology, speakers and more. While you may not get everything you desire, if you find a move-in ready home that checks off most of your boxes, the convenience of it much more than makes up for missing out on a few design features. Buyers today are more willing and able to pay more for a home that is essentially move-in ready, compared to spending less on a house that requires updating. The idea of putting the time and energy into a fixer-upper has lost its appeal over the past 10-20 years. This is largely due to the fact that buyers simply don’t have the time, energy or expertise to put into a renovation. People are busy these days, working countless hour jobs, raising families, participating in various activities, that not many buyers have the desire anymore to worry about tackling a full-blown restoration in the little free time they do have. Buying a move-in ready home does come with its downsides. These properties are more expensive than ones that need work, for obvious reasons. 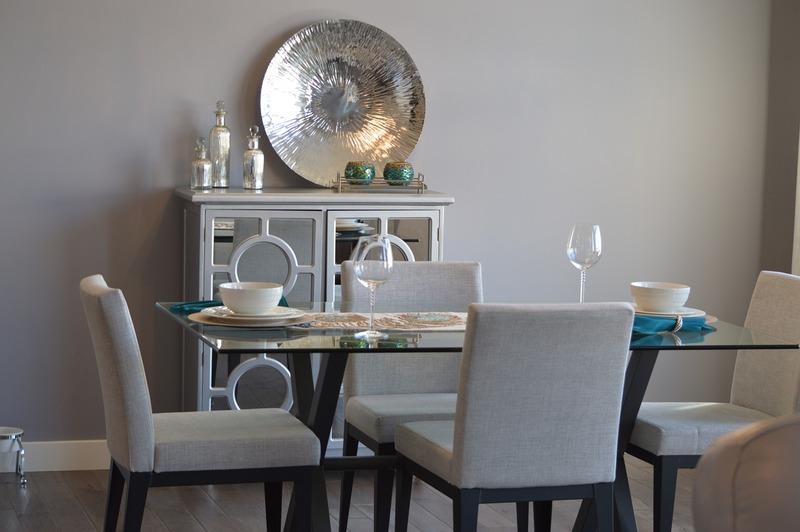 Unless you luck out on your ideal home that’s already been built for you, you’re most likely not going to get everything you want with a move-in ready home, whether it be a granite countertop or walk-in closet. You have to decide, however, if these sacrifices are worth it to you and your family. If you love a good project, have the spare time, and can envision your dream home in your mind, take the leap and go for the fixer-upper. On the other hand, if your time is precious, you have no interest or experience in home projects, or just don’t have a major preference on the design choices in your home, locating that perfect move-in ready home is probably more your speed. Whatever you choose, make sure you put your stamp on it so that it feels like home to you. Let us help you locate your dream home in the Oahu area today! During the resale of a home, diligent marketing and negotiations by your real estate agent are crucial, but they are only one part of the equation. When you’re selling a home in Oahu or Maui, you should try to go the extra mile to make your home as presentable and appealing as possible to potential buyers. Taking care of these eight items can help you to sell your property quickly and maximize your closing price. Unkempt landscape may cause potential buyers to believe you haven’t taken care of your home, and this perception can dissuade people from making offers. During the resale process, mow your lawn and trim your hedges regularly to keep greenery tame and polished. Use this opportunity to add new plants, including colorful flowers or bushes. These touches make a fresh first impression that will set the stage for effective showings. When you move into a new home, the last thing you want to do is perform repairs. Your house can become much more appealing to buyers if you take on those necessary fixes yourself. It’s possible that some issues may be uncovered during a home inspection, and you might be required to fix them before moving ahead with the contract anyways. You can save yourself this stress and encourage higher offers by doing repairs ahead of time. Though your furniture will likely be coming with you, it’s a good idea to wipe down or vacuum these pieces as well. Cleanliness overall can greatly enhance your home’s presentation. 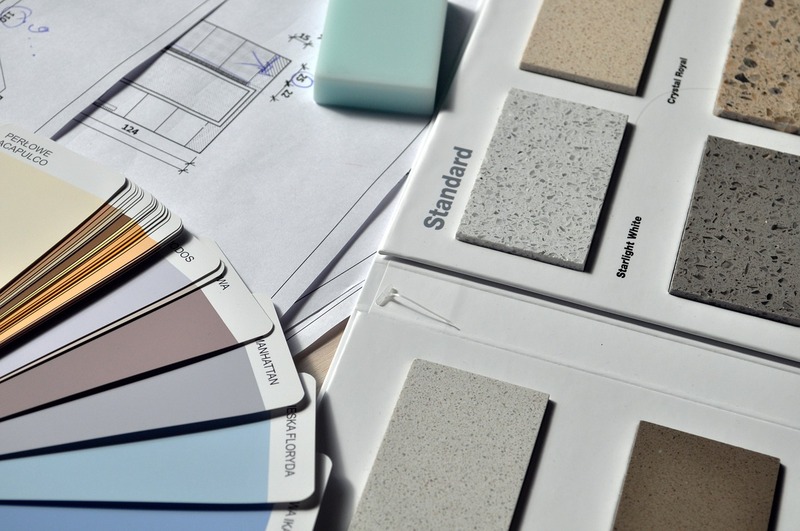 You’ve likely personalized the rooms in your home with your favorite paint colors and treatments, but some buyers may not share in your style. Homeowners want a blank slate to which they can add their own flair; choosing a nice neutral to repaint allows potential buyers to put their own imaginations to work. If your walls are already fairly neutral, a fresh coat of paint still isn’t a bad idea. Over the years, the surface may have been chipped or scuffed, and it might even appear dull. Repainting can make a room feel like new! There are obviously many things you’ll need to continue living in your home as it sells, such as toiletry items or office supplies, but it’s a good idea to tuck them neatly away in cabinets or drawers during showings. Take down personal photographs, bulletin boards or household calendars. Personal items like religious décor, sports memorabilia, or anything else in which your buyers may not share your preferences, should be minimized or put away. Remember to clean up the surface of the refrigerator, too, removing things like coupons, magnets or pictures! As you prepare house to sell, consider the tasks you might perform if you were welcoming a guest to stay in your home. Fresh linens make visitors want to stay. The first thing buyers see when they view your home is the exterior. To improve your home’s curb appeal, make sure the yard is clean and empty. You can freshen up siding by repainting it, and stone or brick can undergo a power wash. Small touches, such as planters, welcome mats or benches can give a front porch a more hospitable feel. Make sure your buyers want to come inside based on what they see outside! Potential buyers want to get a feel for your home’s storage options, so they may peek into closets, cabinets and drawers to see what the house has to offer. An accumulation of junk can quickly turn people off! Additional shelving and storage bins are a good investment to help bring order to the chaos of everyday life, and they can give your living areas the impression of greater storage capacity. You’ll be amazed by the transformation your home can undergo when you take these crucial steps. Freshening up your property will help buyers visualize its potential and imagine their own future in your home. If you’ve got your home in tip-top shape to hit the market, or if you’re just thinking about your options, contact us today to learn more about selling a home in Hawaii. 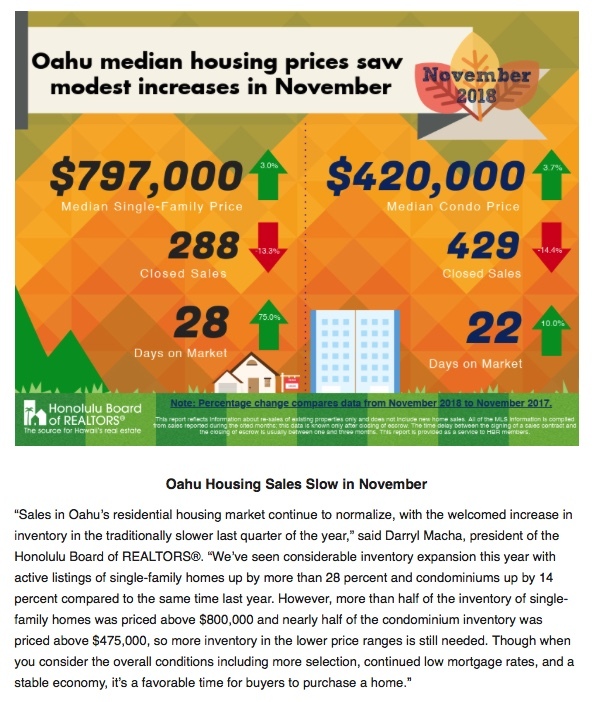 The Oahu real estate market report is in and the market remains very strong! A key indicator of market conditions is the months supply of inventory. This is basically the balance between supply and demand. It's been in a range between 2-3 months of inventory for a few years now. Meaning that if no new listings came to market that inventory would be fully depleted within 2-3 months. This is historically a very low inventory level and seems to be rangebound. For you potential Sellers out there now may be the best time to sell. The number of active listings is at the higher end of the range since 2016 and with rates moving up along with prices, Buyers may begin to think twice about the overall cost relative to their budget. Interestingly the days on the market (DOM) statistics for higher priced single family homes ($1.9 million and up) has been declining since January of 2017. At that time DOM was just shy of 80 days and now it's 44 days, perhaps indicating that higher end home buyers are becoming more confident and aggressive.